Our Annual Spring Gala isn’t your run-of-the-mill shindig: no black tie or gown required (unless you’re feeling that fantasy! ), just a fun party for lovers and leaders of the film community to come together in celebration of Rooftop Films and the bold, accomplished artists who’ve made a distinct contribution to independent cinema. This year, we’re honoring two of the most talented innovators working: Amy Seimetz, best known as co-creator and executive producer of the critically acclaimed Starz series The Girlfriend Experience and star of the upcoming Pet Sematary & Rooftop alumni Wild Nights with Emily; and Penny Lane, who’s been making award-winning, innovative non-fiction films for over a decade. Her most recent feature documentary, Hail Satan?, debuted at Sundance earlier this year and will be released by Magnolia Pictures. All proceeds for the evening will go to support our vital community programs. Become a Member to receive 20% your Gala ticket(s)! Food and drinks served throughout the evening. Amy Seimetz is best known as the co-creator and executive producer of the critically acclaimed Starz series The Girlfriend Experience. Based on the Steven Soderbergh feature of the same name, the show premiered in 2015 and was nominated for a Golden Globe and quickly renewed for a second season which aired in 2017. Sun Don’t Shine, Seimetz’s directorial debut feature film, won a special jury prize at South By Southwest in 2012 and was nominated for two Gotham Awards. 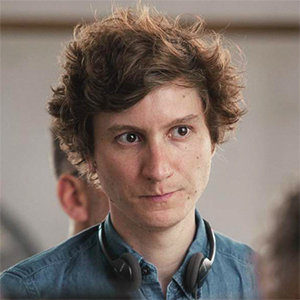 In 2018, Seimetz directed two episodes of the acclaimed FX series Atlanta and subsequently signed a first-look production deal with the network. Seimetz’s notable film credits in front of the camera include Shane Carruth’s acclaimed Upstream Color (for which she was nominated for a Gotham Award), Ridley Scott’s Alien: Covenant, and the upcoming films My Days of Mercy, Wild Nights with Emily (a 2018 Rooftop alum), and Pet Sematary. Seimetz’s television acting credits include Netflix’s Stranger Things, the AMC/Netflix series The Killing, Christopher Guest’s HBO comedy series Family Tree, and EPIX’s Get Shorty. Seimetz’s short film in which she also appeared, When We Lived In Miami, was selected for the 2013 Summer Series. She also appeared in 2010 Summer Series Selection Tiny Furniture, directed by Lena Dunham. Penny Lane has been making award-winning, innovative non-fiction films for over a decade. Her most recent feature documentary Hail Satan? debuted at Sundance and will be released by Magnolia Pictures in 2019. Her three previous feature documentaries are The Pain of Others (2018), Nuts! (2016) and Our Nixon (2013). In 2018, Penny was honored with the Vanguard Award at SF DocFest, a Chicken & Egg Breakthrough Award and was admitted into the Academy of Motion Picture Arts and Sciences. Her short films, such as Just Add Water (2016) and The Voyagers (2010), have won accolades at film festivals and popularity online. Film festival screenings span the independent and experimental film worlds, including Sundance, Rotterdam, Images, IMPAKT, Hot Docs, Full Frame, CPH:DOX and Oberhausen. Rooftop Films first screened Penny’s work in 2010, with the short film The Commoners, and most recently screened her 2018 short Normal Appearances. She has been awarded grants from the Rooftop Filmmakers Fund, the Sundance Institute, Creative Capital, Cinereach, TFI Documentary Fund, Jerome Foundation, Catapult Film Fund, LEF Foundation, NYSCA, and many other organizations. And yes, Penny Lane is her real name. To learn more about the right sponsorship opportunity for your organization, take a look at our Sponsor Kit and/or contact sponsor@rooftopfilms.com! Rooftop Films Inc. is a 501(c)3 public charity; all contributions are tax-deductible to the extent permitted by law.